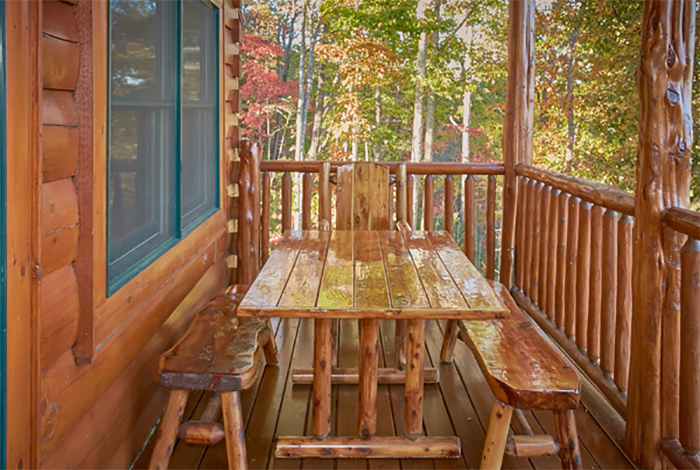 Do you love spending time outdoors? 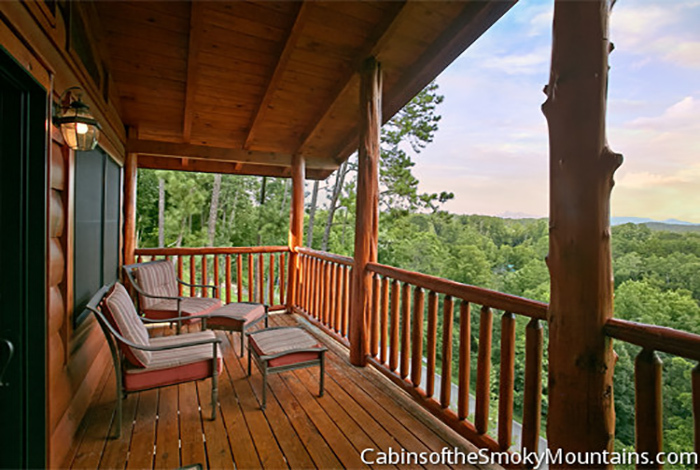 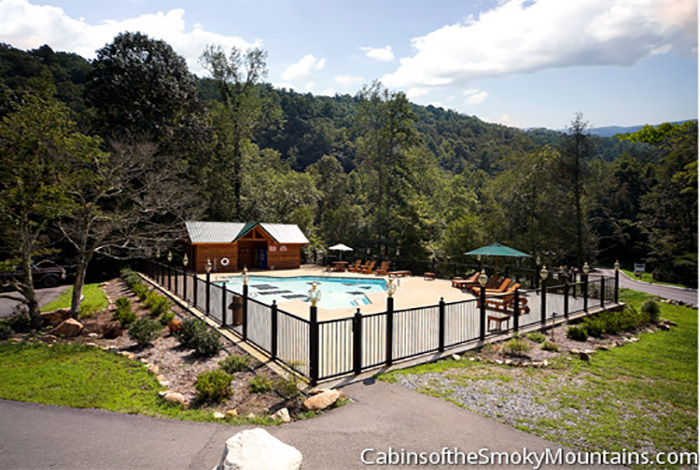 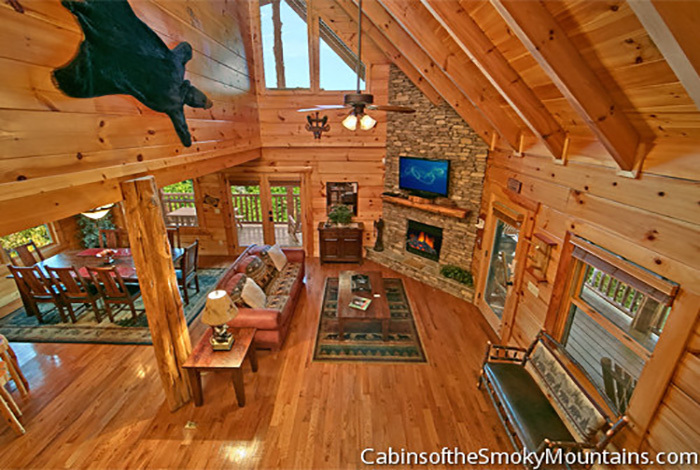 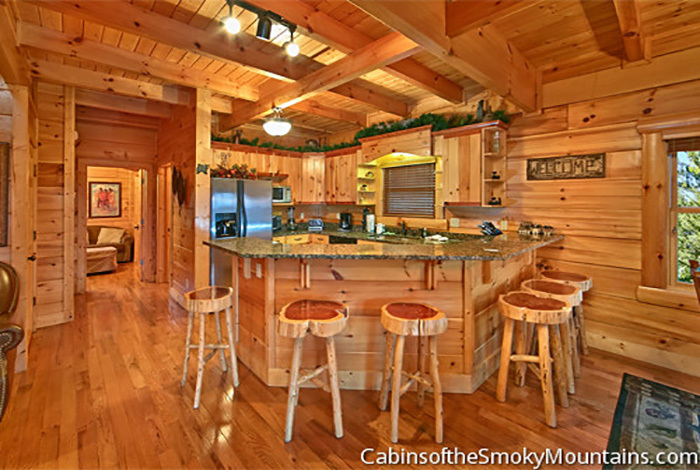 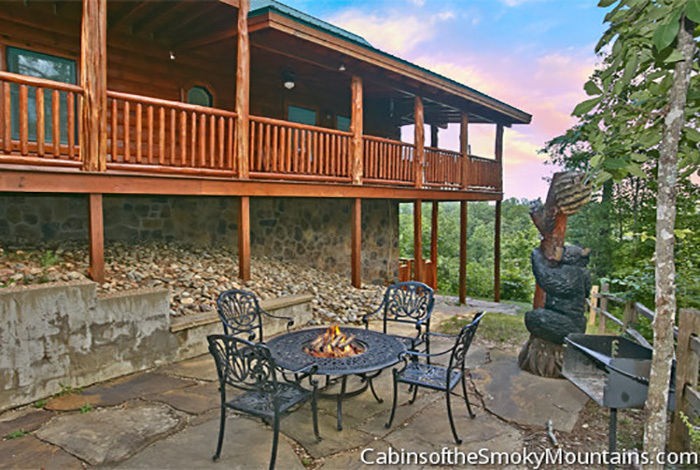 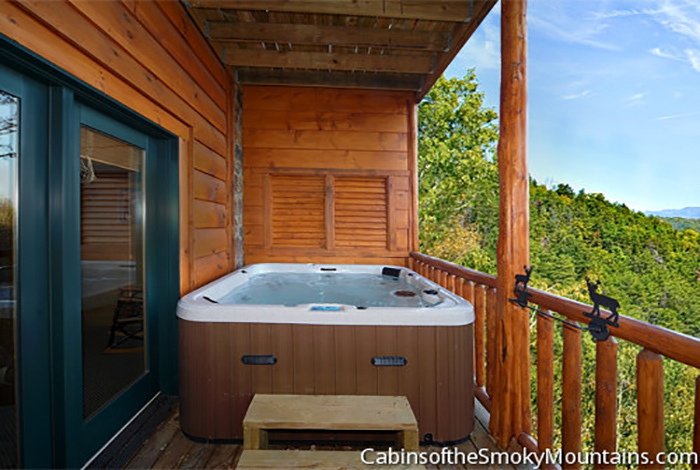 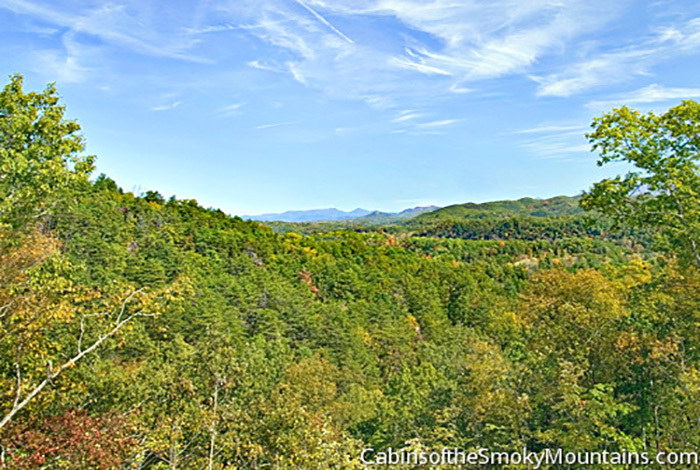 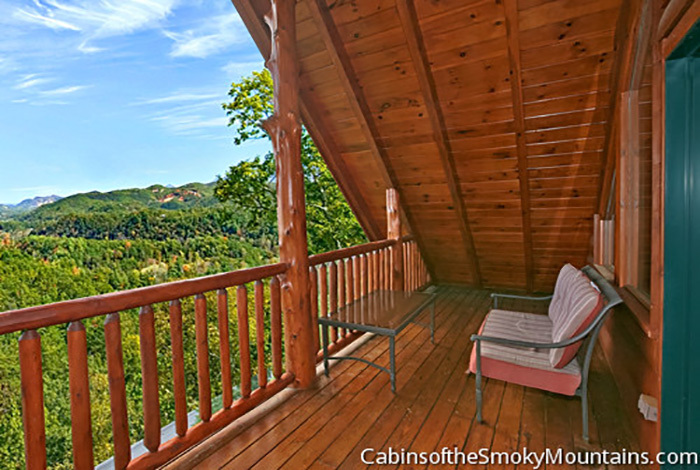 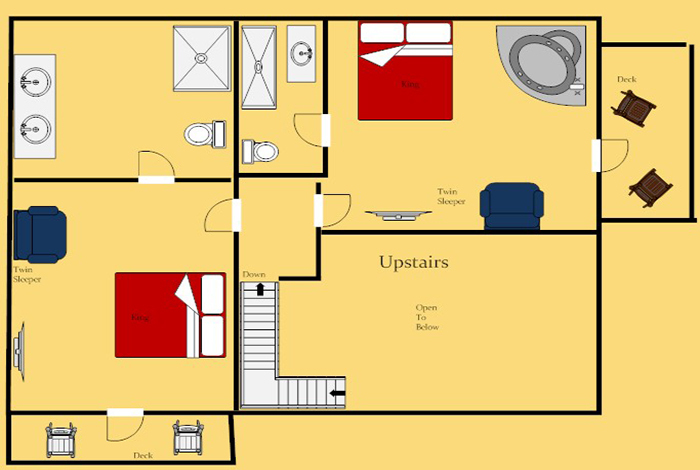 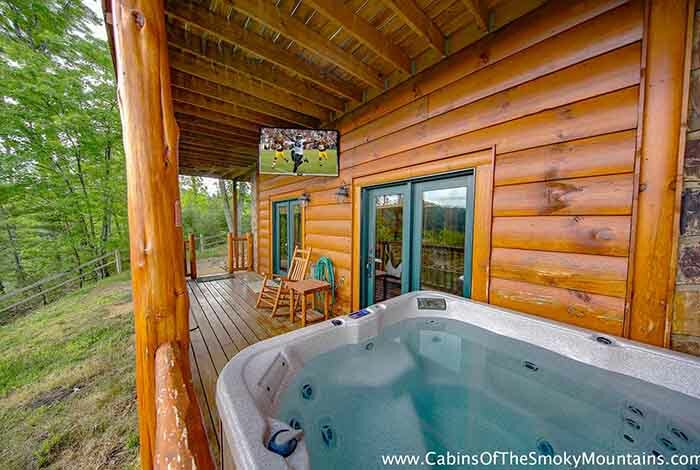 This 4 bedroom Luxury Pigeon Forge cabin rental is the perfect cabin for you and your family to waste the summer night under the stars around the outdoor fire place and private picnic area. 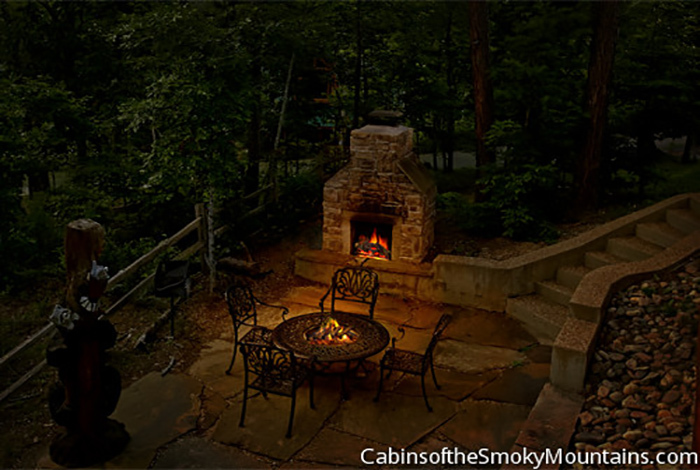 bad weather? 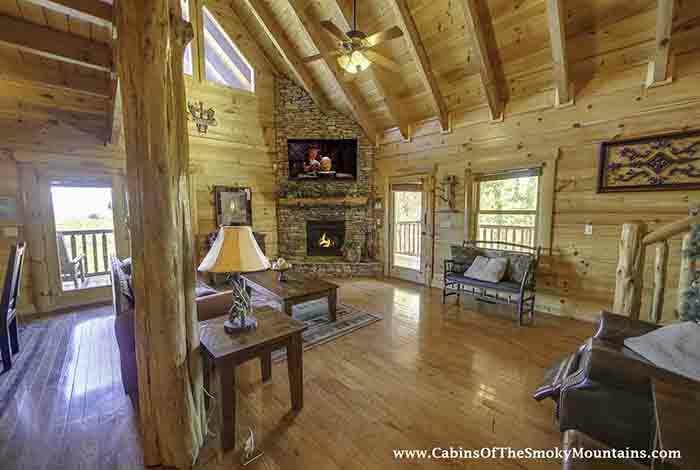 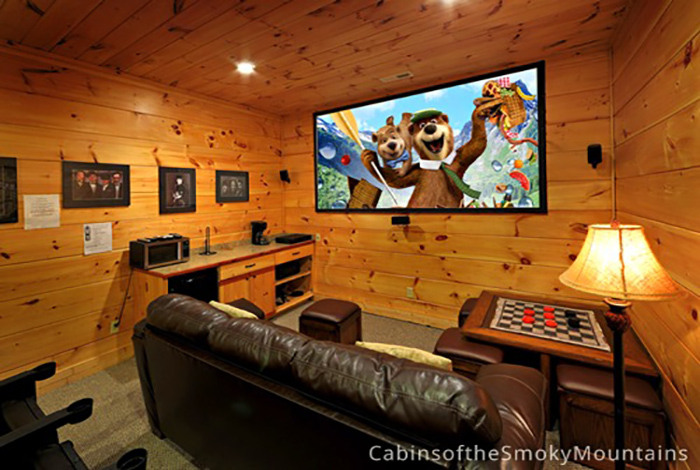 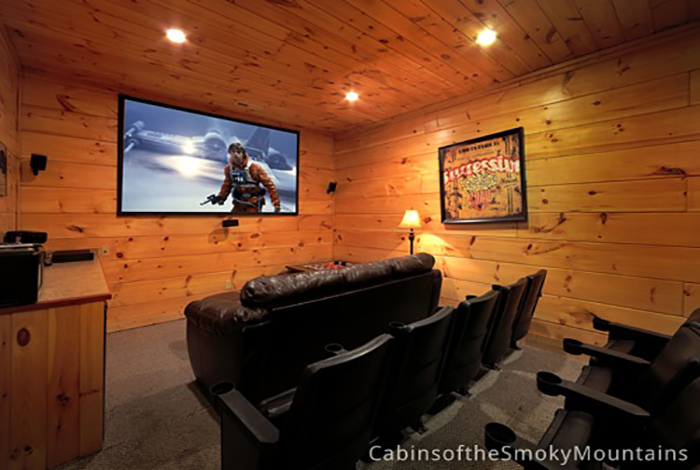 No worries, this huge cabin is has a home theater big enough for the whole family or waste the day shooting pool or playing arcade games. 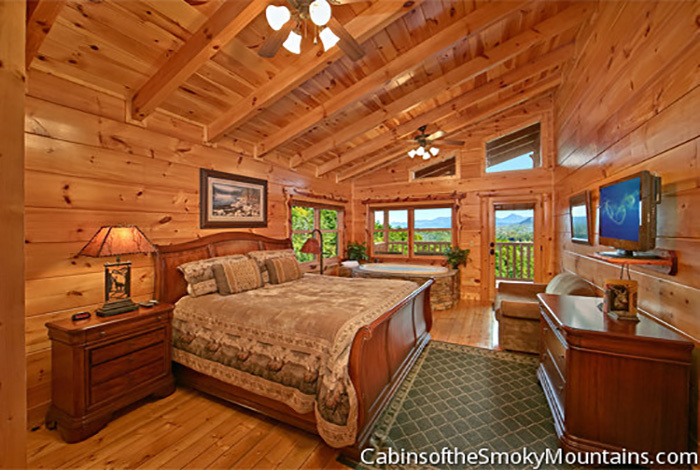 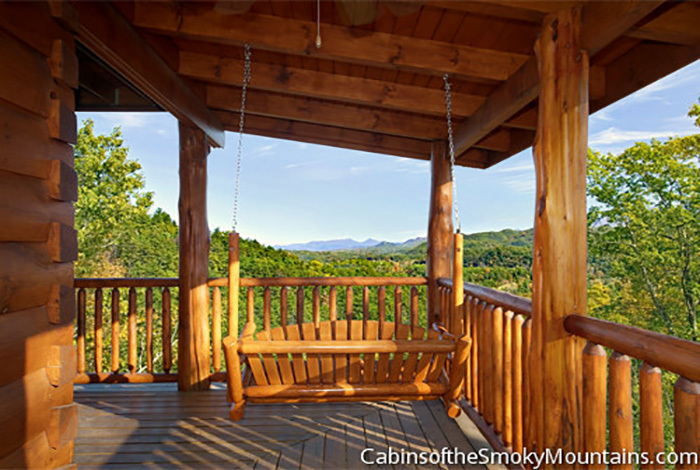 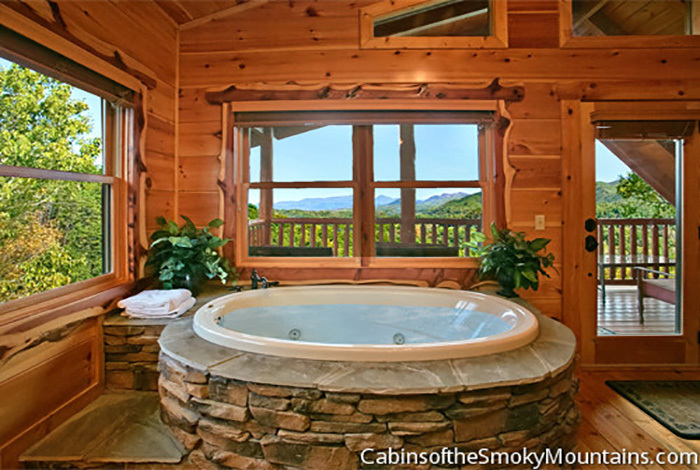 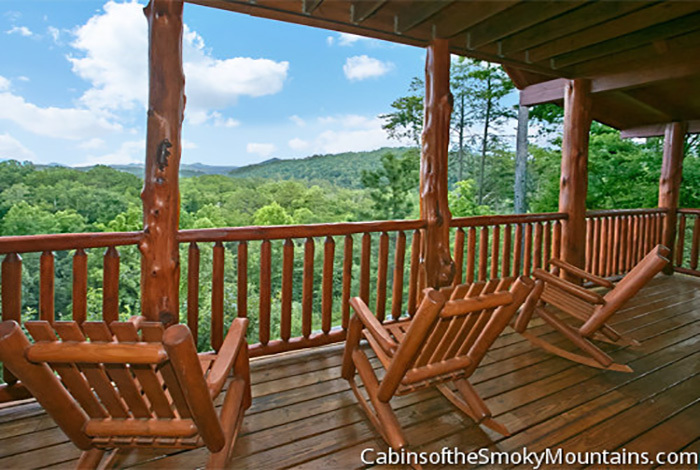 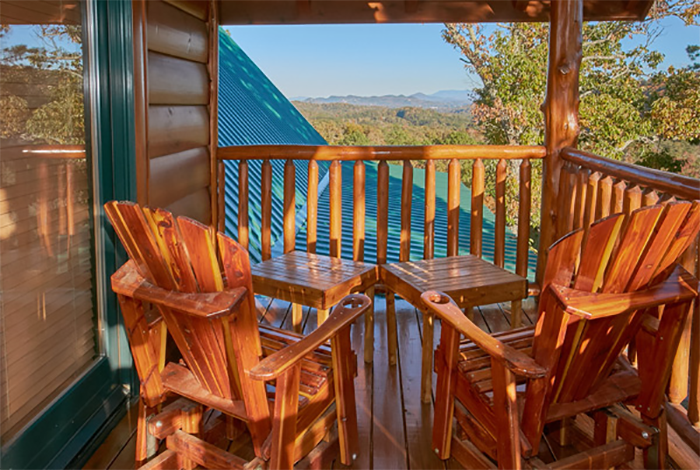 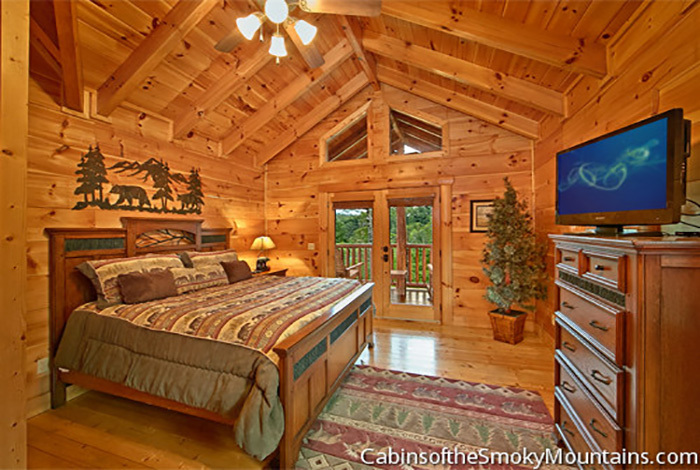 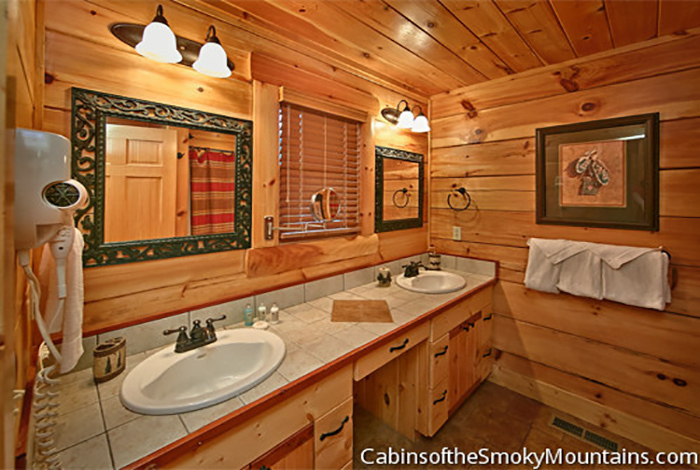 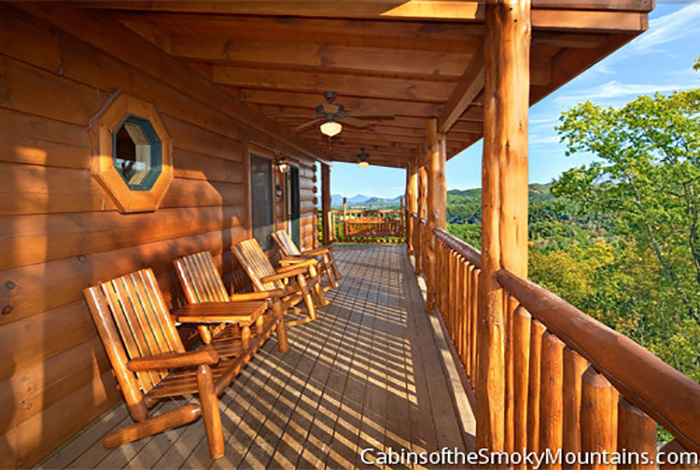 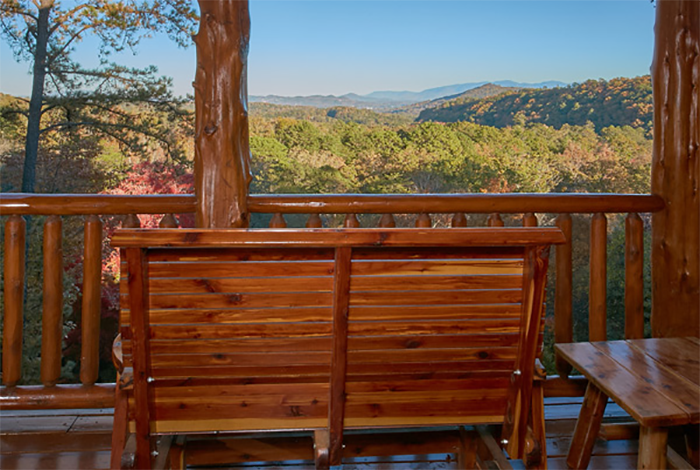 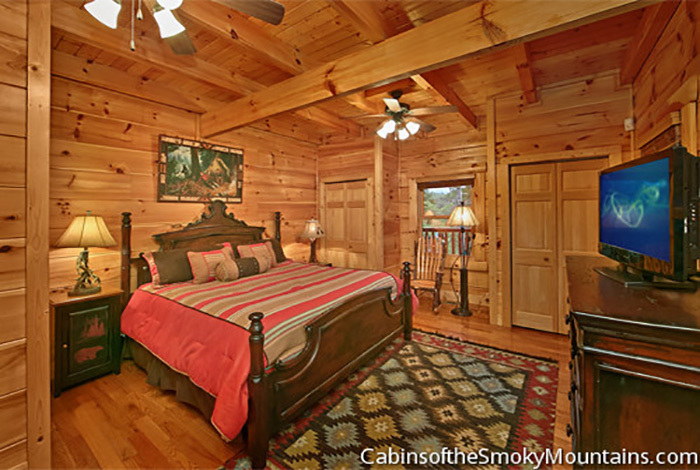 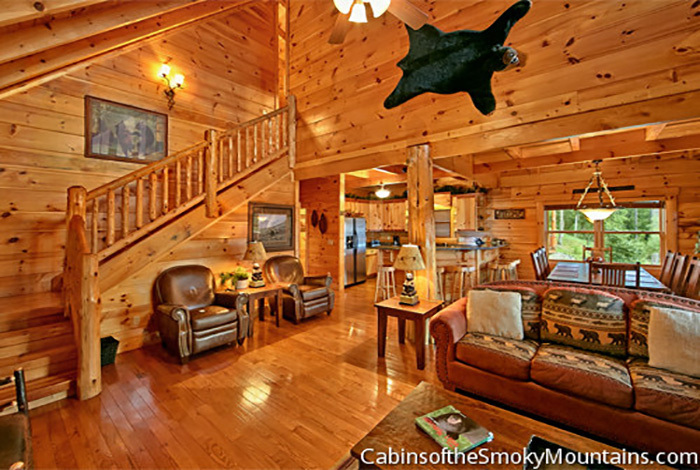 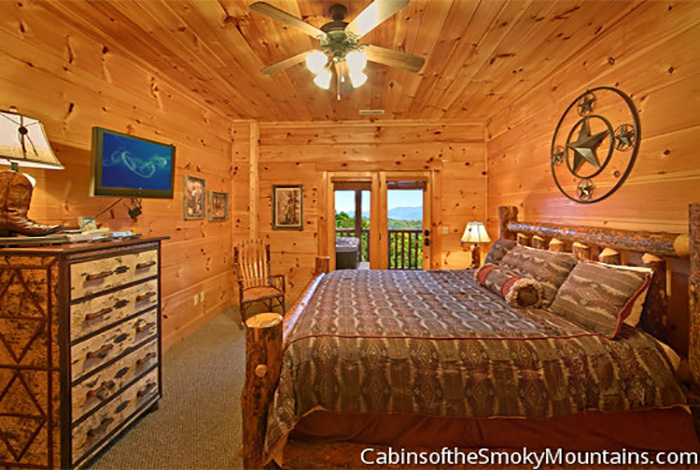 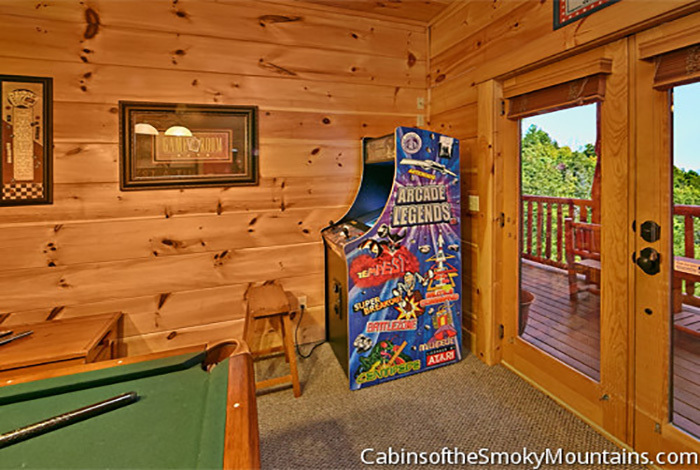 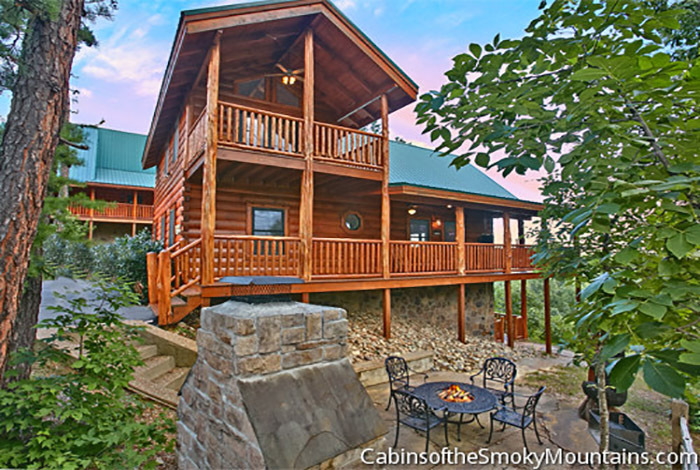 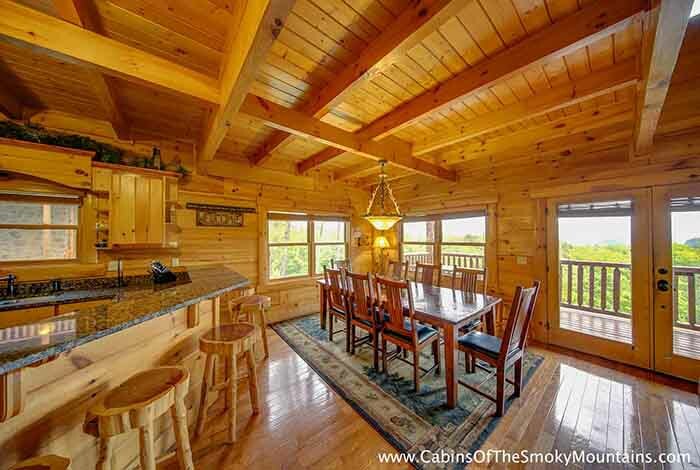 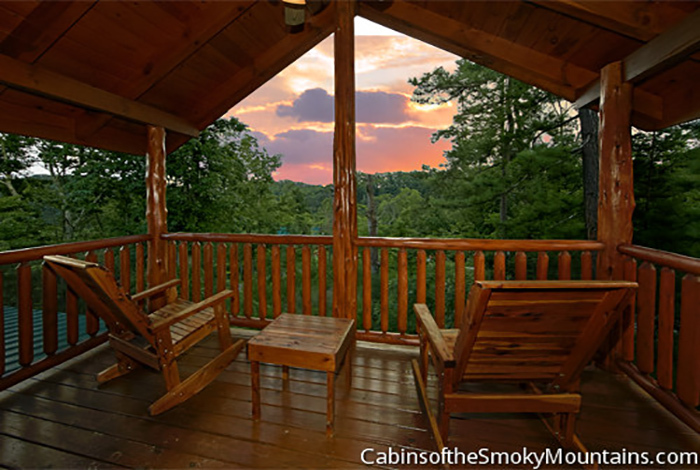 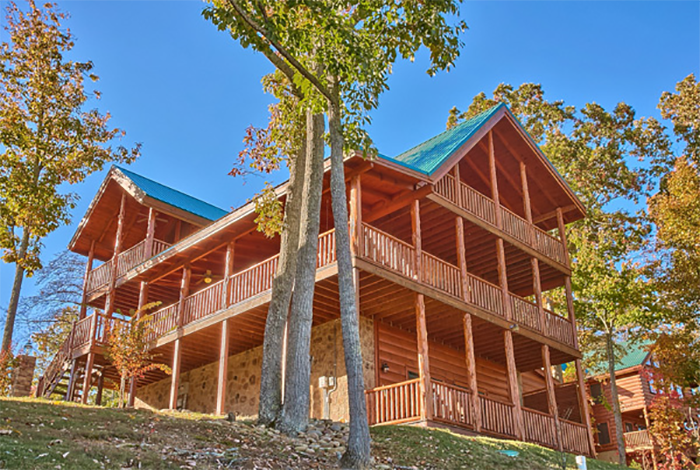 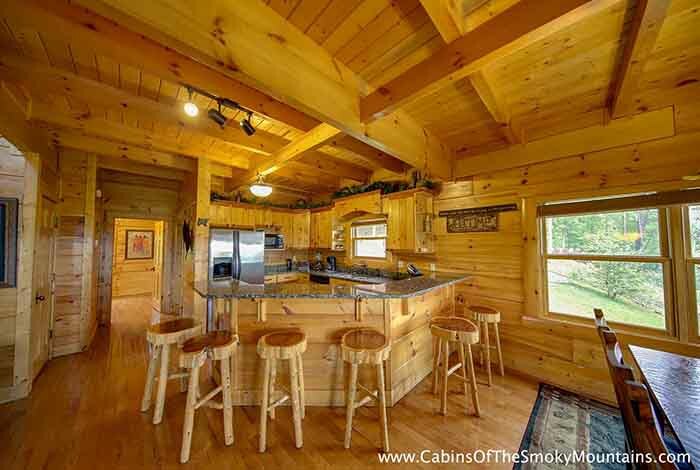 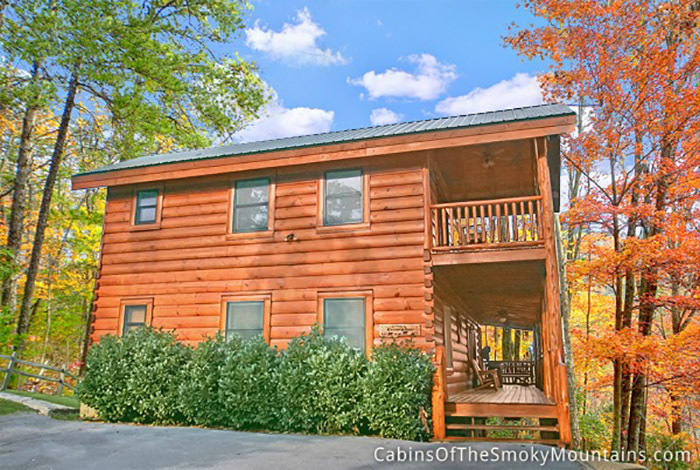 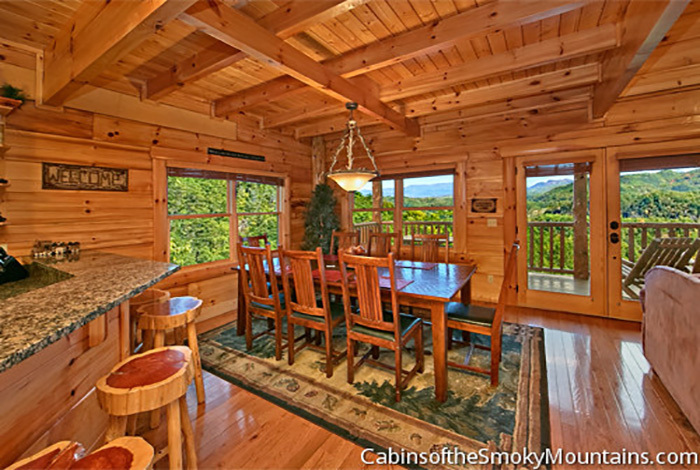 This beautiful cabin feels like your a million miles from everything and everyone with those views and is actually only a few short miles from all the area attractions of Pigeon Forge. 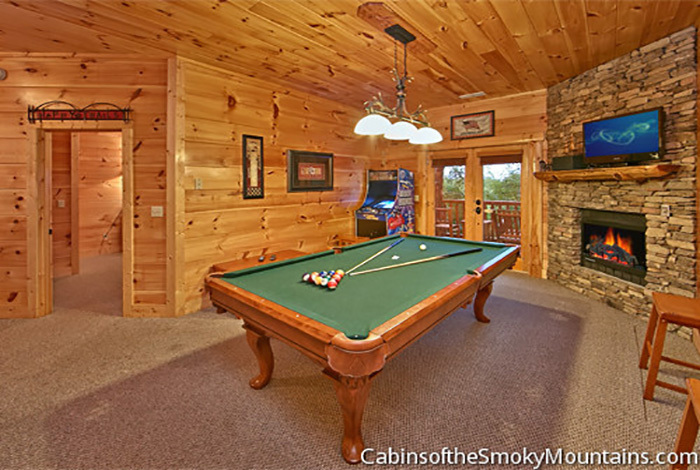 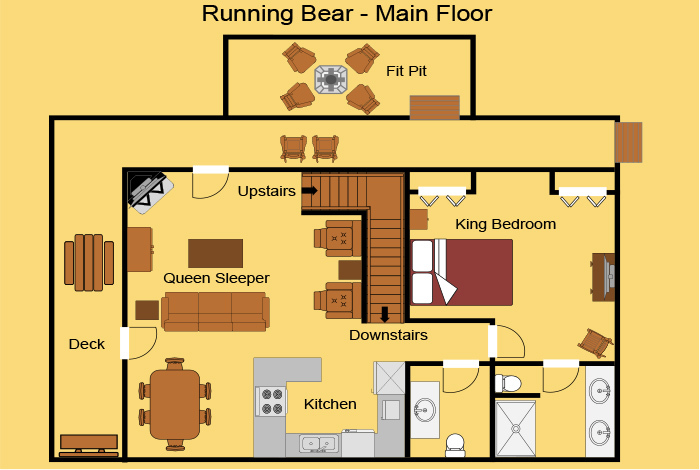 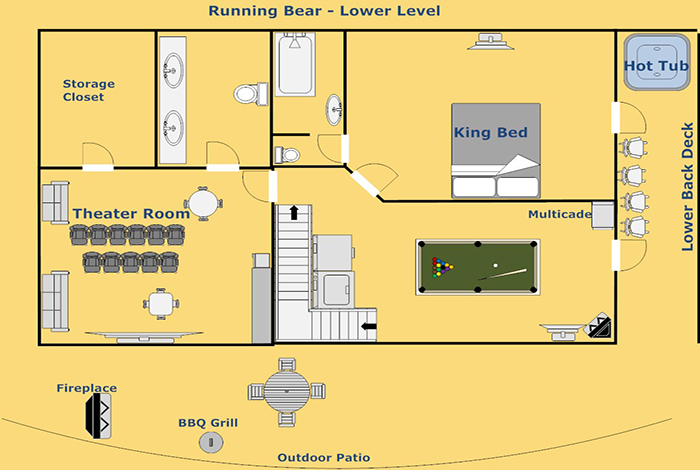 So if you are ready to make some memories then reserve Running Bear today for your next trip the the Smokies.